Make great memories right from the start! 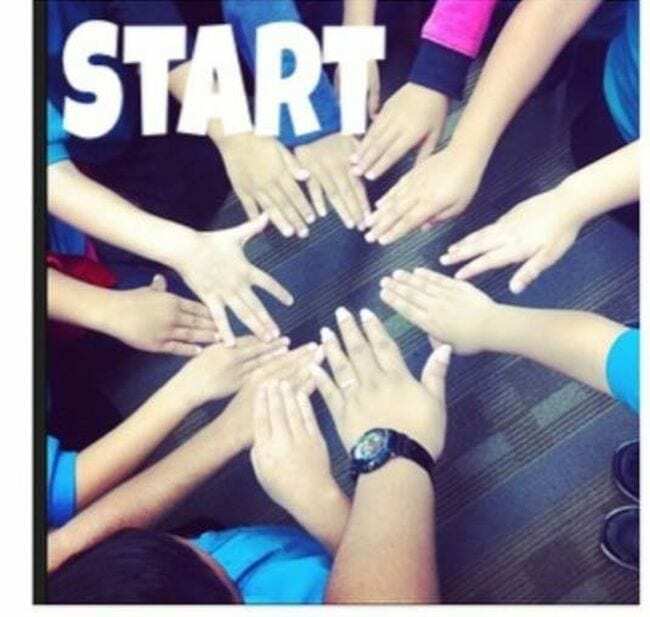 We asked our Facebook followers to share their first-day-of-school traditions and activities. Here are our favorites along with a few more we’ve picked up along the way. We love this first-day-of-school tradition from Gallatin Elementary, where teachers ring a giant bell to start the year. 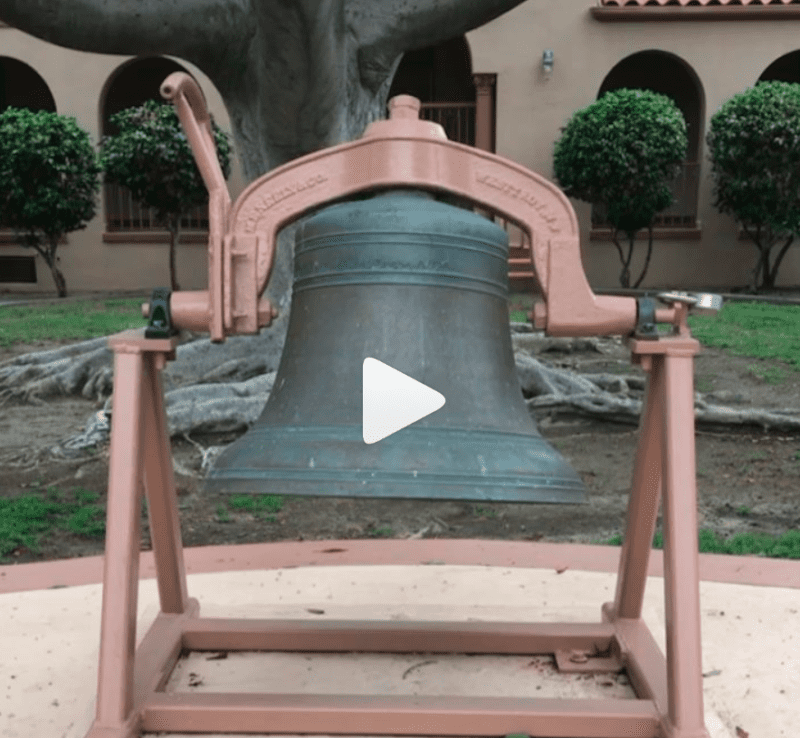 Your school may not have a bell of this size, but a smaller one would be fun too! 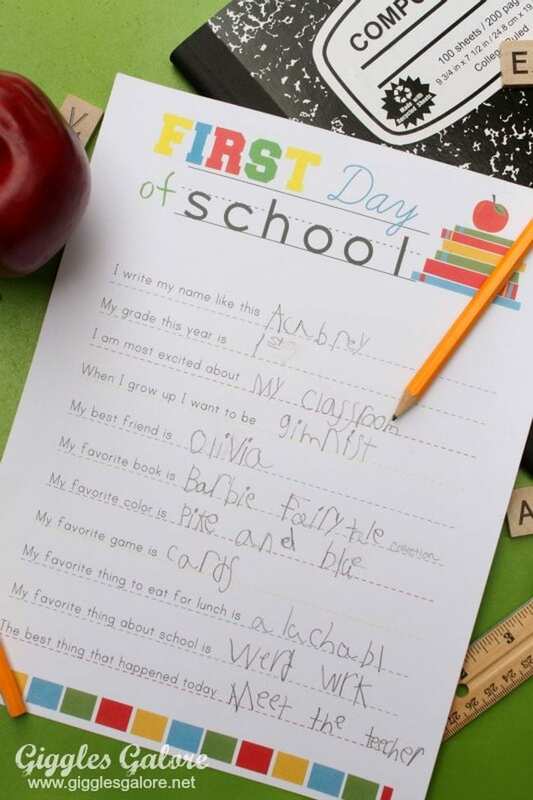 Tackle the jitters by having students write down something that makes them nervous about starting school—no names! Then put all the answers together in a pile and read them one at a time. The kids will likely be surprised at how many answers are similar. 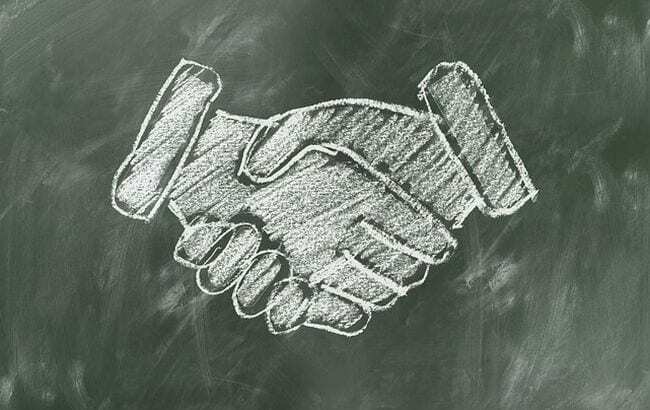 Getting to know your new students is an important way to prepare for a successful year. 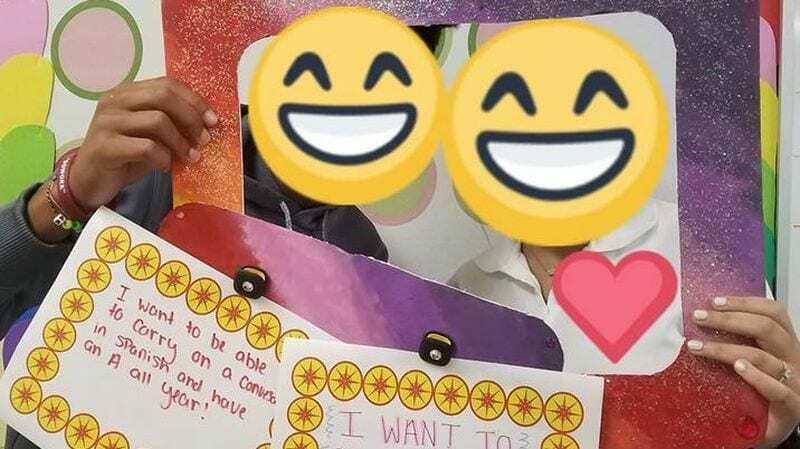 Grab a free printable interview sheet at the link above, pair students, and have them introduce each other to the class. Or try this from Marge G: “I ask them to write a letter introducing themselves to me, telling me what they want me to know about them.” Tip: Hang onto these and have students repeat the exercise on the last day of school. Then compare their answers! 6. Tell them about you. Kids are just as curious about their teachers as you are about them. “I have a slide show that introduces myself to the kids. I show them my family, my pets, and my hobbies and let them know who I am. 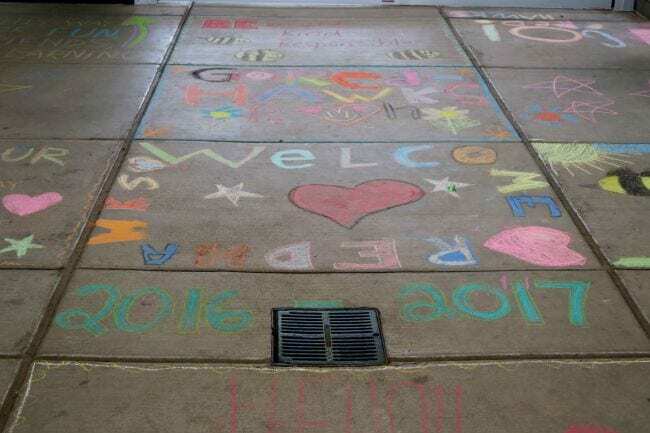 Hopefully that makes me more ‘human’ to them,” shares Marge G., who teaches middle school. Melissa K. does this too, but at the end of the first week, she has a competition (with prizes) to see who remembers the most about her. Slide shows aren’t the only option. “I give them a multiple-choice quiz about me. They laugh through the silly choices, and it beats standing in front droning on about myself,” says Joyce D.
7. Make a time capsule. 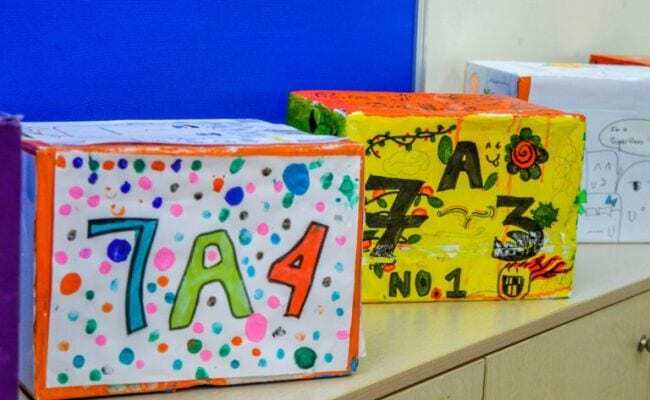 The possibilities for a first-day-of-school time capsule are endless! Photos, handprints, notes, newspaper articles, surveys … every class will come up with something different. Display them on a shelf to be opened on the last day of the school year. 9. Snap a group photo. Rhea V. likes to gather the class for a group photo “to show we are a family and are each other’s support on the campus.” It doesn’t have to be a traditional photo. Choose a pose together that represents your students and their goals for the year. 10. Hold a scavenger hunt. This is a fun and interactive way to introduce kids to their new classroom or even their first year in a new school. Create a list of items to find or places to visit and send them off in pairs or groups. That way, they’ll get to know each other at the same time. Tip: Instead of collecting items, have them grab a different sticker or stamp at each location to prove they’ve been there. There are plenty of terrific reads that are perfect for the first day of school. 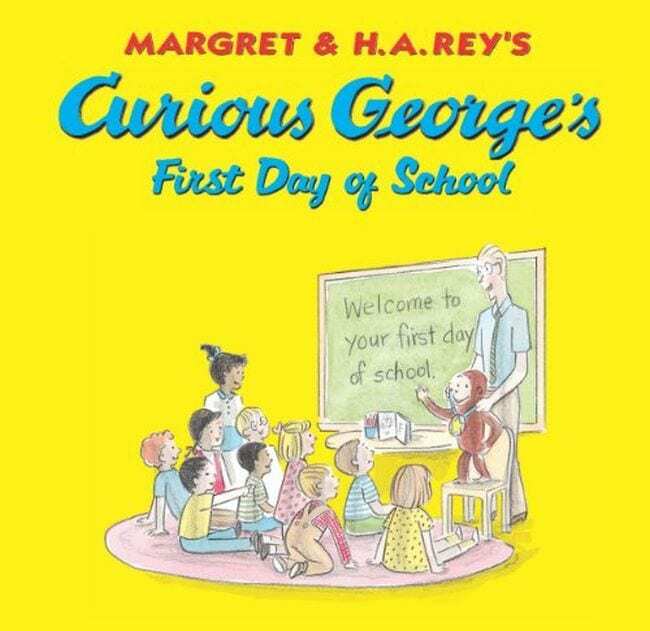 “My first grade class is monkey-themed, so we read Curious George’s First Day of School,” notes Angela O. “George tries to paint but makes a mess. We do our own painting and hopefully it’s mess free!” Find more back-to-school books here. 12. Create a measuring wall. Designate one section of your room to be the measuring wall. Mark all the students’ heights on the first day of school. Use a giant sheet of paper for this—just tape it to the wall. Then roll it up and put it away until it’s time to compare at the end of the year. 13. 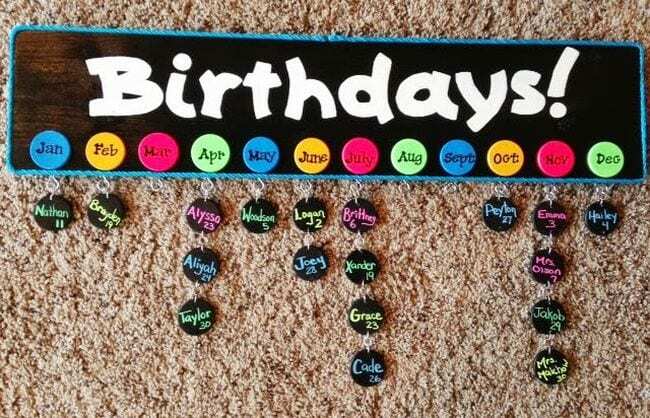 Build a birthday board. 14. Pick a new name. 16. Film a video diary. You don’t need a fancy video camera for this—just use the camera on your phone or tablet. Some kids might be shy, so try putting them in groups. Then go around and have each group introduce a different section of the classroom. The kids will love watching this later in the year! 18. Walk the red carpet. 19. Craft a comic strip. Break in those new boxes of crayons and colored pencils! 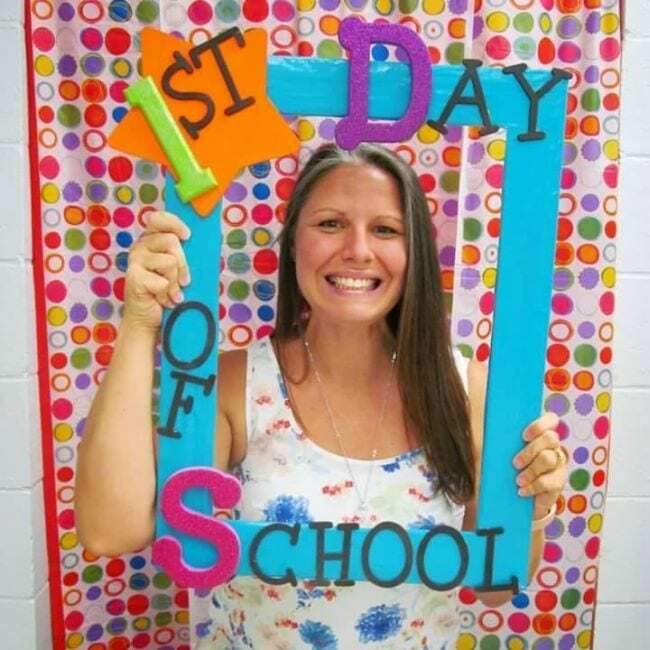 This is an excellent way to help kids tell parents the story of their first day of school. Print out a comic-book template, then have kids illustrate what they did throughout the day. Send it home to show parents how their little one did the first day back. 20. Make them feel welcome. 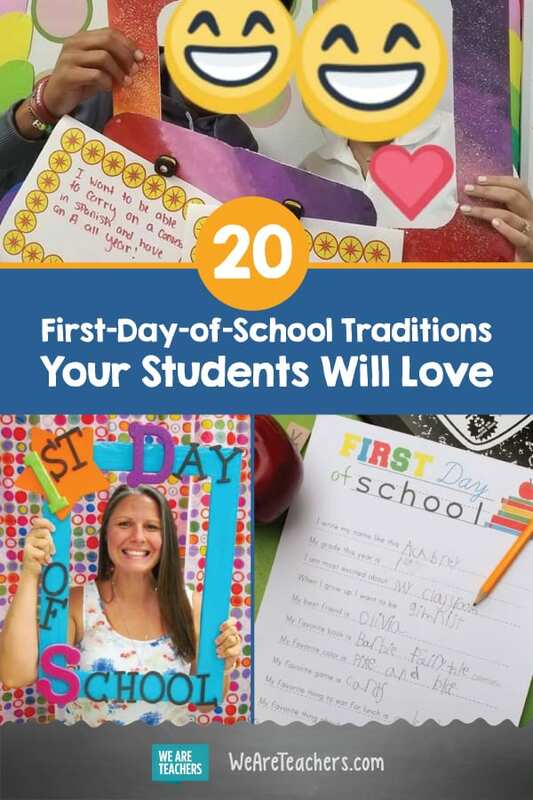 What are you favorite first-day-of-school traditions? Come and share in our WeAreTeachers HELPLINE group on Facebook! Plus, check out these great picture books to read during the first weeks of school. I’m Going to Leave Work on Time This School Year … Really.